Soften pastry crust according to package directions. On a lightly floured surface cut out 3" - 4" circles using a pastry cutter or drinking glass. Mix artichokes, ham, cheese and egg yolk. With floured side up of pastry rounds, moisten the edges of pastry round. Put 1 spoonful of filling into the center of round. Fold the pastry round in half and seal edges with tines of a fork. Put finished empanada on a cookie sheet prepared with parchment paper. Fill all the remaining rounds the same way. Mix remaining milk and egg white together and brush over each empanada. The empanadas can be frozen or baked at this time. To cook, heat oven to 425 degrees. 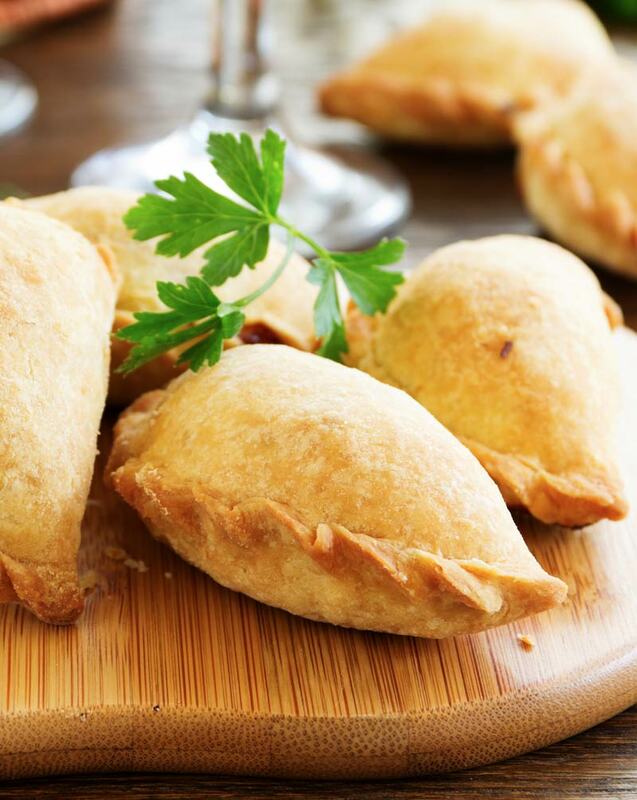 Whether fresh or frozen, cook empanadas for 20 - 30 minutes until golden.